The Ecologist has been setting the environmental agenda for over 40 years – bringing the critical issues of our time into the mainstream, through cutting-edge reporting. 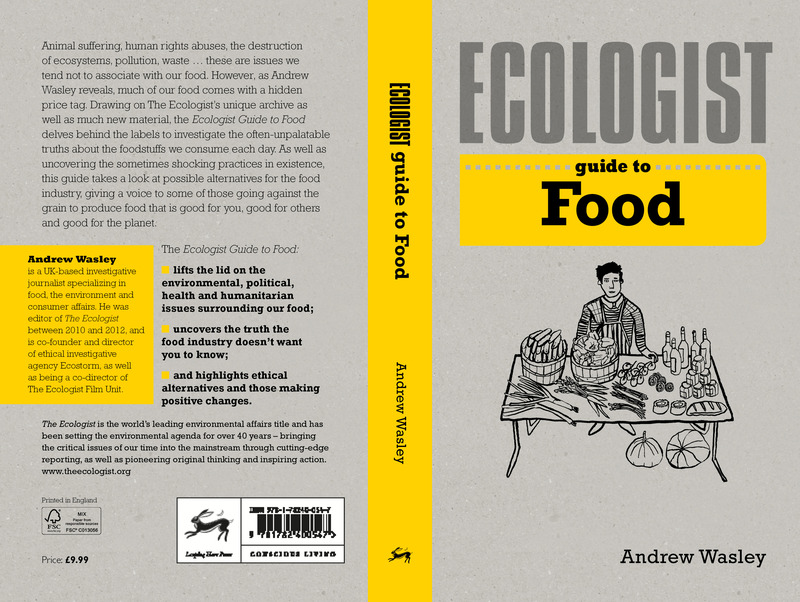 Drawing on their extensive archives, as well as much new material, the Ecologist Guide to Food delves behind the labels to investigate the often-unpalatable truths about the foodstuffs we consume each day. Animal suffering, human rights abuses, the destruction of ecosystems, pollution, waste … these are not issues we tend to associate with our food. However, as investigative journalist Andrew Wasley reveals, much of our food comes with a hidden price tag – for instance, many readers will remember the Morecombe Bay tragedy in 2004, which saw more than 20 Chinese workers drown while harvesting cockles off the Lancashire coast. But does the process of meeting Western demand for well-stocked supermarkets need to be this bleak? What if our mega-farms could harvest crops of 70,000+ vegetables each day and still offer fair pay, good living conditions and even social facitilites to their workers? What if drinking coffee could actually have a positive influence on reforestation? As well as uncovering the sometimes shocking practices in existence, this book takes a look at possible alternatives for the food industry, giving a voice to some of those going against the grain to produce food that is good for you, good for others and good for the planet. Andrew Wasley is a UK-based investigative journalist specializing in food, the environment and consumer affairs. He was editor of The Ecologist between 2010 and 2012, and is co-founder and director of the world’s leading ethical investigative agency Ecostorm. Andrew is a co-director of The Ecologist Film Unit – his footage and films have been broadcast internationally by television news networks and used extensively by campaigners and NGOs to raise awareness and push for change on a range of issues connected to food, farming and environment.